One can avail from us a large variety of Organic Pulses, as we are one of the leading firms that offer these products at bulk. 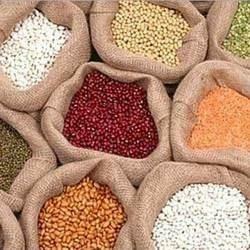 These pulses are quality checked at each step of production and are highly demanded by our clients. The pulses consist of high grade nutritional contents and are free from all impurities and unhygienic materials. Our products are offered at comprehensive rates as per the need of our clients. Avanti Enterprises established in the year 1988 as a Sole Proprietorship firm and has proved it selves as the prominent manufacturer, supplier and exporter of processed and semi processed food like cube sugar and sugar confectioneries. Products like Sugar Cube, Sugar Confectionery, Processed Food Products, Whole Spices, Powdered Spices, Organic Pulses, Instant Mix, Breakfast Cereal, Sugar Cube Machine, Ready to Eat Meals, Breakfast Cereal and many other similar products are manufactured by us. We are an ISO 9001:2008 certified company. Our products are processed by the use of premium quality raw ingredients and have wide demand for agricultural uses. The entire ranges of our products are available at competitive a price, which provides right value to customers money. Unparalleled ranges of our products have helped us to establish our name among the renowned firms of global market. Our name has become the symbol of trust and confidence. Diverse range of High Quality sugar plant are planned by us. Large warehouse have been built by us, where the storage of raw material and finished goods has been done efficiently. Separate departments are meant by us so that the production would be carried out smoothly in hassle free manner. Logistics support has also been given by us, so that the deliveries would be ensured within the specified time limit. Packaging is also done in efficient manner, so that the goods may be transferred safely to the clients’ end. Professionals having experience and expertise and possess extra-ordinary skills are working with us. We have hired them after judging and evaluating there capability on numerous parameters. Our managers’ conduct numerous activities to reduce fatigue and make them fresh, so that they may be able to perform in much better way. Effective supervision and guidance of our mentor Mr. Ashok Agrawal has helped us to achieve proficiency and competency in our domain. His experience and skills along with far-sightedness has helped us to achieve a distinct place in the mind of customers and also in the market. Owing to his efficient supervision, we would be delighted to say that, our firm has been counted among the excellent manufacturer of industry.